Our 8th Annual Dusk to Dawn softball tournament and BBQ will be Friday, September 7, 2018 to Saturday, September 8, 2018! Check our Events page for more information. Dawn’s Ray of Hope was established in May 2011 by the family and friends of Dawn Re. On February 11, 2011, Dawn lost her brave battle with cancer. But during her fight, and before even being first diagnosed with breast cancer in August 2006, Dawn took on the challenge of raising money for various charities involved in the struggle against the disease. In April 2001, Dawn completed her first 111-mile bike ride around Tucson, Arizona for the Leukemia & Lymphoma Society, and completed the ride again one year later. From 2002 through 2010, Dawn assembled a team to compete in the Leukemia & Lymphoma Society’s Snowball Softball Tournament in Harrison, New York. From 2007 through 2010 (and even when slowed by her treatments in 2008 and 2010), Dawn took part in the American Cancer Society’s Relay for Life events in her hometown of Middlebury, Vermont and in Chappaqua, New York where she moved after starting her family. Through her and her family’s efforts, Dawn raised tens of thousands of dollars for these charities. 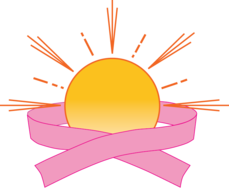 Through various events, Dawn’s Ray of Hope will continue Dawn’s work of raising money to support the fight against cancer. The funds raised will be donated to different charities each year. We believe that every little bit helps; every little bit can make a difference. Although Dawn Re lost her brave battle, Dawn’s Ray of Hope looks forward to the day that no one else will.